Although autumn is upon us, the good weather lingers. 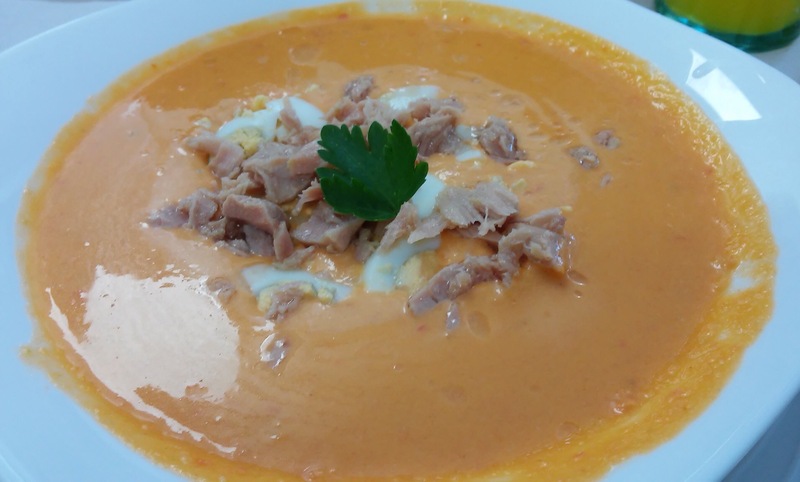 A refreshing salmorejo is ideal for such days. And if we add a touch of the sea, such as in the recipe that Pilar has sent us, we would eat it any time, hot or cold. Check it out and enjoy! Moisten the bread lightly with a little water and a splash of vinegar and leave for a few minutes to soften. Mix everything together in the blender until there is a thick mixture. Add the oil slowly and continue beating. Add salt and vinegar and beat a little more. Put in the refrigerator for about 3 hours to cool. Boil the egg, let it cool, peel and chop. 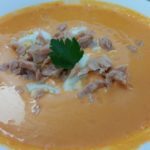 Serve the salmorejo in bowls or dishes and toss over the drained and crumbled tuna and chopped hard-boiled egg. Healthy, easy and tasty. Thanks, Pilar! Yellowfin Tuna loins carefully selected by “Serrats” Preserves, in olive oil.